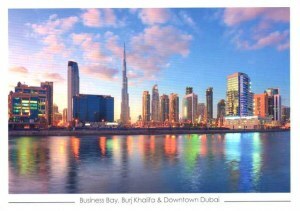 Business Bay is a central business district under construction in Dubai, United Arab Emirates. The project features numerous skyscrapers located in an area where Dubai Creek will be dredged and extended. 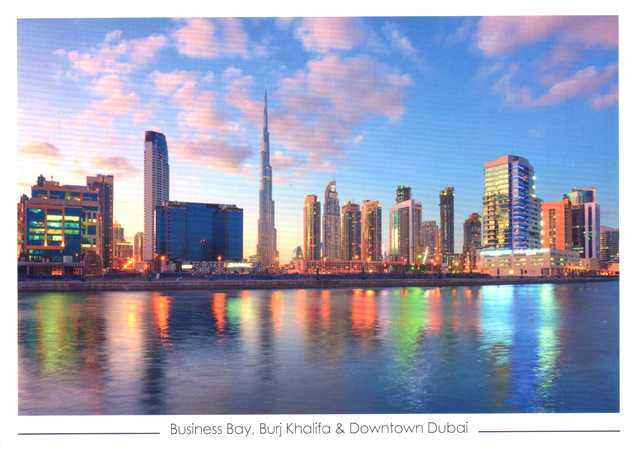 Business Bay will have upwards of 240 buildings, comprising commercial and residential developments. The infrastructure of Business Bay has been completed in 2008, and the entire development is expected to be completed between 2012-2015. Business Bay is part of the vision of His Highness Sheikh Mohammed Bin Rashed Al Maktoum, UAE Vice President, Prime Minister, Minister of Defence, and Ruler of Dubai. Business Bay will be a new 'city' within the city of Dubai and is being built as a commercial, residential and business cluster along a new extension of Dubai Creek extending from Ras Al Khor to Sheikh Zayed Road. Covering an area of 64,000,000 square feet (5,900,000 m2), once completed it will comprise office and residential towers set in landscaped gardens with a network of roads, pathways and canals. It will become the region's business capital as well as a freehold city.